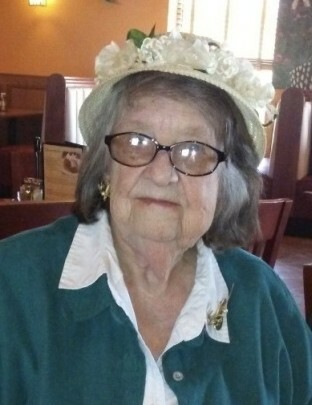 Theodora (Teddy) Urban, 90, of Tallmadge, Ohio, passed away on April 4, 2019. Teddy was born to Theodore Scott and Mable Walters, December 6, 1928 in Tallmadge, Ohio. She graduated from Tallmadge High School and attended many alumni events throughout the years. She also attended the Kent State University. Teddy worked in the offices of Roadway Trucking where she met her husband Al Urban. She was preceded in death by her husband Al Urban; parents, Theodore and Mable Scott; and her cousins, Ned Orson Scott, John and Betty Oliver. Teddy is survived by her cousin, Gretchen Kuhlke of Cuyahoga Falls, Ohio. She was known as “Aunt Teddy” to many and was survived by her nieces, Patricia Palmer of Barberton, Ohio, Cyndi Livengood of North Carolina, and nephew, John Andrefsky of Pennsylvania; along with many other family and friends who loved her. A Memorial Service is scheduled for Saturday April 27, 2019, at 1:00 pm, at Donavan Funeral home in Tallmadge, Ohio. The family requests that in lieu of flowers, donations be made to the Tallmadge Alumni Association, at http://www.tallmadgealumni.com/. There's still time to send flowers to the Memorial Service at the Donovan Funeral Home at 1:00 PM on April 27, 2019.